IGO (formerly: IÖGV) was the result of a difficult situation for NPOs in 1997, when a new postal law meant massive increases of tariffs. NPOs were directly affected by the rise of these prices, since they send journals and magazines as part of their information and awareness raising-activities. That is why NPOs from different sectors of activity formed a spontaneous coalition, in order to achieve a common goal: a tolerable postal law. The innovative concept of this approach was that NPOs from different fields were working together in order to advocate a common interest. IGO was successful – in 1997 they were able to prevent the increase of tariffs. It was out of that initiative that IGO was created. 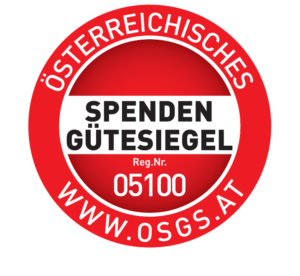 Later on, IGO, in collaboration with other umbrella organizations, developed the Austrian Seal of Approval for Donations. It was further challenged in areas such as the Austrian Associations Act, fees and taxation of NPOs. A great success for IGO was the implementation of tax-deductibility for donations for organizations which work in the following fields: mild charity, development cooperation and civil protection. In 2012 tax deductibility also became possible for organizations that work in environmental protection. IGO is still promoting an extension of tax deductibility for animal welfare organizations. In 2012, IGO successfully promoted a reduction, and in some cases even a cancellation, of banking charges for NPOs. Since 2013 IGO is a full member of CIVICUS – World Alliance for Citizen Participation. Since 2014 IGO is also a full member of AGNA – Affinity Group of National Associations. Together with CIVICUS and the Competence Center for Nonprofit Organizations and Social Entrepreneurship at the Vienna University of Business and Economics, IGO implemented in 2014 the research project “Civil Society Index – Rapid Assessment: Framework Conditions for Civil Society in Austria”. You can download the English version of the final report here. The Affinity Group of National Associations (AGNA) brings together national associations from around the world. Launched at the 2004 CIVICUS World Assembly, the aim of AGNA is to engage these national associations to foster greater co-operation across national and regional boundaries and to increase their ability to pursue mutual interests. In 2018, IGO has joined the European Civic Forum (ECF) as a full member. ECF is a transnational network that brings together over 100 associations and NGOs across 27 countries in Europe, actively working on issues such as citizenship education, defence of Human Rights and the advocacy of Democracy. With the help of ECF and other European partners, IGO will organize on 21-22 November the CIVIL SOCIETY IN DIALOGUE 2018 event in Vienna.